When Your Honda Hybrid IMA Light Turns On, Do This Right Away! Everyone has a friend, sibling, or significant other in their life that thinks those warning lights on the dashboard are only there for decoration. Point out that little engine warning light, and this person will shrug, change the subject, or eagerly tell you that the Check Engine light is just a conspiracy by the big auto manufacturers to rip off drivers. But if you drive a hybrid, there are some warning lights you can’t afford to ignore, literally. If you drive a Honda Civic hybrid, then it’s only a matter of time until your Integrated Motor Assist, or IMA light starts lighting up your dashboard. Then what happens? Many Honda hybrids, like the classic Honda Insight and Civic hybrids, have been around for more than a decade. 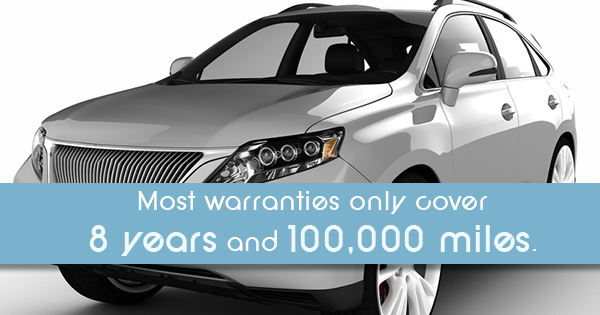 And while many hybrid batteries will last that long, there’s a reason most warranties only cover eight years and 100,000 miles. In the U.S., the average hybrid car battery lasts for six to 10 years. When your battery’s time is almost up, your beloved Honda Insight or Honda Civic hybrid IMA light will turn on. Don’t take a cue from the Check Engine-light rebels; this is one warning that deserves your attention. That’s because while hybrids are 20-35% more fuel efficient than their purely gas-powered peers, an aging battery can decrease your efficiency. That means not only is your car not operating at its peak, it may no longer be reducing emissions by 25-35% either. Remember that warranty we mentioned? While some hybrid automakers are now offering lifetime warranties on hybrid car batteries, you might be out of luck if you’re past the eight year/100,000 mile mark. Even if you are, the first thing you should do is check for any relevant warranties to help offset the cost of your imminent hybrid battery replacement. While a replacement battery won’t be cheap without the warranty (you won’t find quality batteries for less than $2,000), it’s a necessary investment. Why can’t you procrastinate once your IMA light comes on? The early Honda Insight and Civic hybrid models came with a 144V high-voltage nickel metal hydride battery. Those batteries are made up of 120 battery cells. Over time, those cells begin to degrade. And unfortunately, because each of these cells are connected, your battery will only be as strong as your weakest cell. When your car’s computer detects a low charge, it turns on your IMA light. Like the frog slowly boiling in water, you might not even notice the drop in performance that comes with a deteriorating hybrid car batteries. When you finally pick up a Honda Civic hybrid battery replacement, you might be amazed at how much better your car runs. Remember: if you ignore your Honda Civic Hybrid IMA light, your car could fail completely… Drive at your own risk!